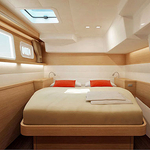 Sailing yacht Lagoon 450 named Lagoon 450 has been produced in 2018. 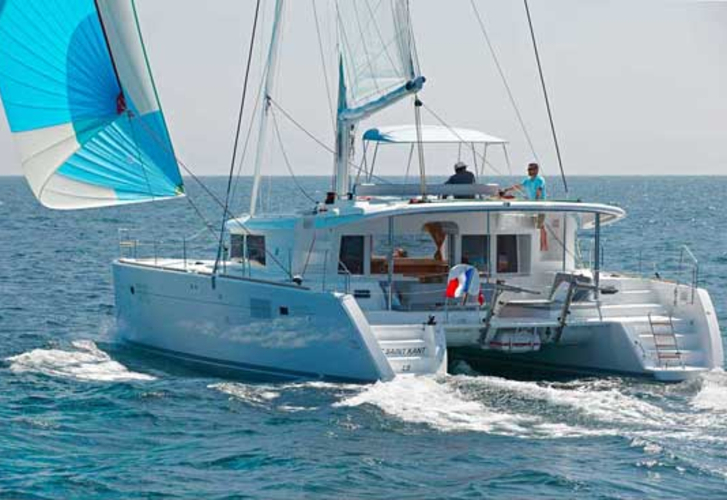 We offer this boat from marina Athens in the region: Athens. 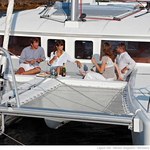 Lagoon 450 is licensed for 12 persons. Layout of the sailboat is 12. Lagoon 450 Lagoon 450 has 6 bedrooms. For guests disposal there are 4 WCs. You can fill the diesel tank with 650.00 l liters and in water tank it goes even 900.00 l liters. With engine 2 x 55 HP Lagoon 450 can navigate really fast. 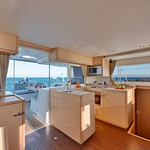 Lagoon 450 is 13.96 meters long and 7.87 meters wide. Depth is 1.30 meters. 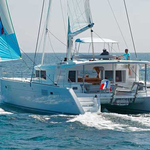 Use this site to find more vessels clicking here: Catamarans Athens. 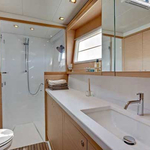 Sailboat's equipment consists of : Air conditioning, Bed linen, Radio cd mp3, Radio / cd player, Bed linen & towels, Dinghy, Anchor electric windlass, Mainsail with lazy jack, Gps, Solar panels. . Security deposit has value 3500.00 EUR. 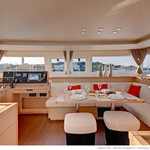 Choose our offer and have good time on the deck of Lagoon 450. 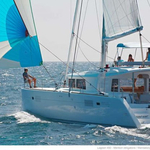 This Lagoon 450 from Athens from Greece Find about by navigating to the section Catamarans Greece.